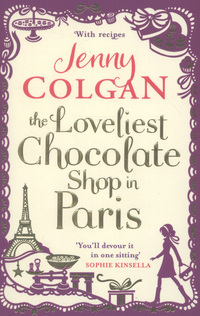 Jenny Colgan The Loveliest Chocolate Shop in Paris – 5 stars !!! Best friends from work May, Lara and Clare are desperate for some time away. They have each had a rough time of it lately and need some serious R & R. So they set off to a luxurious spa for ten glorious days, but when they arrive at their destination, it seems it is not the place they thought it was. In fact, they appear to have come to entirely the wrong village. Here in Ren Dullem nothing is quite what it seems; the lovely cobbled streets and picturesque cottages hide a secret that the villagers have been keeping hidden for years. Why is everyone so unfriendly and suspicious? Why does the landlord of their holiday rental seem so rude? And why are there so few women in the village? How many lifetimes would you travel to find a love that lasts for ever? When single career girl Jo-Jo steps onto a zebra crossing and gets hit by a car, she awakes to find herself in 1963. And then it happens three more times, and Jo-Jo finds herself living a completely new life in the 1970s, 80s and 90s. The only people she can rely on are Harry and Ellie, two companions from 2013, and George, the owner of a second-hand record store. If she’s ever to return from her travels, Jo-Jo must work out why she’s jumping through time like this. And if she does make it back, will her old life ever be the same again? This entry was posted in Book Reviews, Books, Competitions, Writing competitions and tagged Book Reviews, Competitions, Romance, Romantic Novel of the Year Awards, Writing. Bookmark the permalink.